“We have orphans, I know, […] in stock” proclaims Reverend Milvey anxiously to the Boffins, an eccentric couple in Charles Dickens’ Our Mutual Friendwho seek to adopt a child. This startling description of orphaned children as economic products causes readers to ask, what was Dickens’ intent with this unusual blending of language? This paper unfolds the mystery of the often-overlooked orphan characters in Our Mutual Friend, revealing how they function as a platform for Dickens’ criticism of the dehumanizing effects of Victorian political economy. “We have orphans, I know, […] in stock,” proclaims Reverend Milvey anxiously to the Boffins, the eccentric couple in Dickens’ Our Mutual Friend who have inherited the Harmon fortune (Dickens 105). The reverend utters this phrase to the prospective adoptive parents “as if there were great competition in the business and he were afraid of losing an order” (Dickens 105). This scene from Our Mutual Friend introduces Charles Dickens’ depiction of orphans as objects within a commercial exchange. Dickens’ injection of economic language in order to describe the orphans in this novel ripples into larger themes concerning the objectification of the disenfranchised as a whole. This unusual blending of language is quite revelatory, hinting at Dickens’ tendency to imbue his literary works with social criticism and humanitarian activism. Throughout Our Mutual Friend, Dickens repeatedly describes or depicts child orphans such as Johnny and Sloppy through a commercial or financial lens, providing insight into the sociopolitical and economic conditions of Victorian England. In doing so, he encourages goodwill and charity among his fellow citizens while criticizing pervasive political-economic theories of his time, such as Utilitarianism and Malthusian political economics. Early in life, Dickens acquired “an inward and identifying sympathy for the poor and dispossessed” that permeates his literary works and establishes his “broadly radical political beliefs” (Furneaux 5). In particular, Dickens expressed concern for the well-being of children. According to Laura Berry, childhood was still a relatively new concept during the Victorian Era, and children were considered “the repository for certain valued and post-Enlightenment traits such as innocence, liberty and naturalness” (Furneaux 187). Such idealized notions of childhood seem to prevail with the Boffins, whose desire for an orphan is compared to the “Kings and Queens in the Fairy Tales” who are “always wishing for children” (Dickens 103). Romantics in their view of children, the Boffins prove unselfish and pragmatic in their actions. Their labors align with the era’s culture-wide efforts to improve the welfare of children, a movement that stemmed from changing attitudes towards childhood occurring during this time. Such children’s advocacy efforts included the “development of pediatric medicine,” legislation regulating child labor, and even “welfare and educational systems,” all of which “contributed to the definition of childhood as a period of dependence, requiring protection by law” (Furneaux 188). 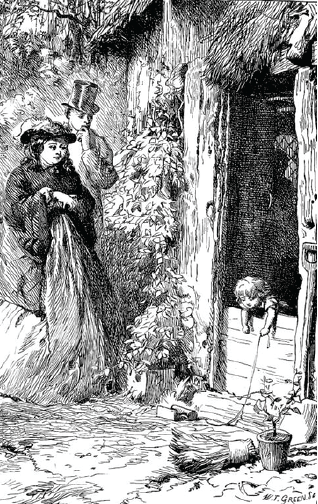 As Furneaux points out, Dickens in particular “had an intimate understanding of child vulnerability” that resulted from the death of his daughter Dora, as well as “what he felt to be a perilous proximity to the uneducated, malnourished young eking out survival around Hungerford Stairs,” where he had himself toiled as a child laborer at the age of twelve (Furneaux 189). In response to such experiences, Dickens developed a sincere dedication to the well-being of children. His devotion to this cause can be observed through his “long line of suffering and expiring young fictional figures” which “inspired social reform and collective political action” (Furneaux 186). Moreover, Dickens’ push for social change transcended the pages of his novels and journalistic articles, effecting true change in the lives of the disenfranchised. According to Holly Furneaux, “Dickens campaigned on behalf of controversial philanthropic institutions [such as Ragged Schools] for the care of children,” and is “credited for the success of Great Ormond Street Hospital for Sick Children by the hospital’s authorities” (190). Vincent Newey points out this hospital’s literary manifestation in Our Mutual Friend as “the ‘fresh airy’ (385) charitable hospital in which the orphan Johnny dies” (285). This scene is significant because it displays Dickens’ literary acumen in utilizing the emotional power of the sensationalized orphan figure in order to incite social reform. As Tamara S. Wagner points out in “‘We have orphans […] in stock’: Crime and Corruption of Sensational Children,” the effectiveness of this literary figure appears to derive from “the massive consumption of sensationalized children in fiction during the 1860s” (202). While Dickens’ use of the orphan figure serves as a powerful emotional appeal, the true power of the passage concerning the orphan Johnny’s death resides in the bleakly intimate experience it provides. In this scene, Johnny is no longer a faceless member of the orphan market described earlier in the novel. Instead, the reader is plunged into the true pain and suffering of this individual child who can manage little more than “monosyllabic” murmurs, but still expresses the desire for his fellow patients to “get out of pain” (Dickens 329). Such details emotionally captivate the reader, inciting a sense of injustice regarding Johnny’s lot in life. The emotional intensity of this scene deepens as Johnny, in his final moments of being, wills away his toys to the other Children’s Hospital patients. The text reaches its sentimental crest when Johnny, “[having] now bequeathed all he had to dispose of, and arranged his affairs in this world […] left it” (Dickens 330). Johnny’s portrayal as a creature capable of pain and compassion prevents the reader from viewing his death as a mere positive check on population growth, an idea proposed by Thomas Malthus in his theory of political economy. Rather, the loss of his “little life, so rough and short” is shown to be truly devastating (Dickens 329). As Furneaux points out, Our Mutual Friend gave Dickens the opportunity to “[continue] to provide positive publicity” for establishments such as the Great Ormond Street Hospital for Sick Children (190-191). The “fresh airy” rooms of the children’s hospital depicted in Our Mutual Friend appear even more welcome because of their juxtaposition with Johnny’s sickly condition. The narrator notes a picture featuring a child “seated on the knee of some Angel surely who loved little children” (Dickens 329). Just as Dickens’ novel encapsulates a message of hope, so too does this image in the hospital. The depiction of the angel also suggests a divine spark fueling charity to children. Similarly, the Noah’s ark toy belonging to Johnny hints at the heaven-inspired mission of the Children’s Hospital, a notion reinforced by the “ministering,” “loving,” and “fresh face[d]” staff members (Dickens 326-329). As a whole, this section of the novel effectively advertises Dickens’ “career-long interest” in how these institutions assisted orphaned children (Furneaux 191). While Dickens utilized his writing to rally support for charitable institutions such as foundling hospitals, he also attempted to influence prevalent negative attitudes towards the poor as a whole. For example, certain passages of Our Mutual Friend, particularly the ones directly or tangentially referring to orphans, seem to utilize the language of economics in order to criticize philosophical and economic theories that diminish the humanity of the impoverished. While Dickens was not opposed to capitalism in general (the commercial success of his serialized novels proves that he was a successful capitalist himself), he questioned the more dehumanizing elements of Victorian political economy. According to Paul Young, “Dickens was writing at a time when the discipline of political economy was making significant declarations about its own power to reveal societal connections” (243). Supporters of this philosophy praised its scientific ability “to discern systematic coherence beneath the most complicated of social scenarios” (Young 243). Attracted by this comprehensive vision, Dickens was nevertheless troubled by the notion “that it could promote a depiction of human existence that obscured the inequalities and ravages of industrial capitalism, and that [it] was limited in its understanding of what constituted a good, moral life” (Young 243). According to Ruth F. Glancy, Dickens was particularly opposed to certain tenets of utilitarianism, a philosophical system introduced by Jeremy Bentham in the late eighteenth century (91). As Glancy points out, Dickens disdained this philosophy throughout his life, and he criticized it in works such as Oliver Twist and A Christmas Carol (91). Glancy explains that Bentham’s theory of utility claims that “the rightness or wrongness of an action can be measured by how much pain or pleasure it causes,” and that these feelings “can be measured according to their intensity, duration, certainty, and other quantifiable aspects” (Glancy 91). Dickens took issue with this theory’s increased dependence on statistics in relation to human affairs (Glancy 92). In Our Mutual Friend, Dickens appears to assert his opposition to quantifying human beings through his satirical description of the orphans as stock. This metaphor first surfaces when the Boffins attempt to fill their “order” for an orphan with the help of Reverend Frank Milvey and his wife, Margaretta (Dickens 105). Fortunately, as Mr. Milvey points out, they have orphans in “stock,” suggesting that orphans are commodities to be bought and sold (Dickens 105). A moment later, Mr. Milvey reveals the truth of this metaphor when he explains that the acquisition of a clay-pit orphan would in fact most likely “come at last to a transaction in the way of barter” (Dickens 105). The scene appears to reflect what Marx criticizes as political economy’s propensity “to commodify social relations” (Young 248). According to Young, without “advocating Marx’s socialist solution, Dickens was likewise at pains to point out that beneath the gains of globalized commerce, high finance and heavy industry were to be found the wasted bodies of the poor” (248-249). By packaging and advertising the orphans sought out by the Boffins as material goods existing within a commercial system, Dickens makes this message readily apparent. This troubling notion develops further as Dickens describes the orphans in terms of financial stock. As soon as the demand for an orphan became common knowledge, the orphan’s value soared at a rate that “was not to be paralleled by the maddest records of the Stock Exchange” (Dickens 196). In this passage, orphans are described as the merchandise of “production,” their value soaring as the supply/demand ratio shifts (Dickens 196). An orphan “making a mud pie at nine in the morning, […] (being inquired for) would go up to five thousand per cent” (Dickens 196). Here, the quantification of orphans reinforces their portrayal as objects rather than human beings, demonstrating the problematic nature of Utilitarianism’s tendency to attach a numerical value to emotions such as happiness and pain (Young 248). Dickens satirically highlights the absurdity of the prevailing theory by reminding readers that this mathematical, economic language is being utilized in order to describe children. For example, the clinical, commercial language used to describe the child making a mud pie is highly absurd. Our Mutual Friend also illustrates Dickens’ disapproval of Malthus’s theory of political economy. Sally Ledger, in her article, “Dickens, Natural History, and Our Mutual Friend,” explains that Dickens seriously questioned Malthus’s claim that inadequate resources and sexual restraint would spark a “series of ‘positive’ checks on population growth” (365). In the face of Malthus’s rather cold and mathematical analysis of population, Dickens does not fail to acknowledge the real pain and suffering that this theory of political economy glosses over. ‘I don’t believe it,’ said Mr. Podsnap, putting it behind him. Podsnap’s reaction to the starvation of the poor seems to echo Malthus’s claim that the positive checks on population growth could be stimulated by poverty. Just as the Malthusian political economy displays a “Gradgrindian reverence for scientific facts and figures,” Podsnap’s justification for the condition of the poor interprets their suffering in terms of “Providence” or their own shortcomings (Young 248). By frankly asserting that starvation was the destitute people’s “own fault,” and that “the fault lies with the sufferers,” Podsnap eschews any responsibility for their fate. The Malthusian view of political economy accomplishes a similar end through its focus on positive checks on the faceless concept of population, rather than on suffering individuals. Podsnap also reinforces his allegedly nonexistent accountability by attributing starvation to “Providence” (Dickens 140-141). This ‘moral’ appeal lends false credibility to his statement by invoking the divine and asserting that this tragedy is part of God’s plan. In addition, Podsnap attempts to trivialize the plight of the poor by declaring it a subject unfit for polite conversation. In doing so, he commits a moral equivalence fallacy by bypassing real social issues with concerns of etiquette. His Malthusian carelessness for individual suffering surfaces through his claim that discussing the abysmal treatment of the destitute is offensive. Initially, Podsnap considers the subject “not adapted to the cheek of the young person” and “not in good taste” (Dickens 140). By selfishly focusing on the supposed propriety of this topic, Podsnap reveals his lack of concern for the poor. When Podsnap is finally fed up with this “painful discussion,” he brushes it aside, deeming it a “personal affront” and characterizing it as “disagreeable” (Dickens 141). As T.A. Jackson points out, Mr. Podsnap’s satisfaction with the status quo allows him to ignore “the existence of anything that ran at all counter to his self-satisfaction” (226). Instead, he waves away “[anything] disagreeable, any sort of social problem with a wave of his right arm” (Jackson 226). This cold self-interest and denial is problematic because it appears to encourage “a dreadfully impoverished conception of social responsibility and personal development” (Young 250). Dehumanizing views of political economy, such as the ones shown by Podsnap, are particularly disturbing when one realizes that orphans such as Johnny and Sloppy are part of the suffering group discussed by Podsnap and the concerned citizen. However, Dickens also includes positive models of moral behavior. For example, the Boffins take the exact opposite approach towards the poor through their treatment of Sloppy. Rather than providing gauzy justifications for why one should allow the poor to starve, they encourage this orphan not to leave their home “without having had a good ‘un off of meat and beer and pudding” (Dickens 336). Unlike Podsnap, the Boffins recognize Sloppy as a full and complete human being. Instead of blaming him for his condition, they aim to improve it through good works such as feeding him or facilitating his training as a carpenter. These acts of charity embody Dickens’ faith in “hard-working and well-intentioned individuals, families and groups doing the best for themselves and for others - mutual friends” (Newey 285). Most importantly, the Boffins revitalize Sloppy’s position within society by granting him economic empowerment. Early in the novel, Sloppy’s disadvantage stems from his position as both an orphan dispossessed of family connections and an underprivileged member of the lower classes. As a result, Sloppy seems almost doomed to an economic inadequacy that remains unrelieved by sociopolitical legislation. Dickens illustrates the orphan’s economic shortcomings through commercial language. For example, Dickens points out that while Sloppy possessed a “considerable capital of knee and elbow and wrist and ankle,” he “was always investing […] in wrong securities, and so getting himself into embarrassed circumstances” (Dickens 201). This statement reflects Sloppy’s immense potential, but also draws attention to the fact that he is limited by his sociopolitical condition. His situation is aggravated by the fact that he does not know how to properly invest his attributes, despite his robust work ethic. For example, Sloppy handles a mangle machine with “industrious mania or fury,” but what use is such effort when it is not properly channeled (Dickens 198)? Overall, the episode demonstrates that while this orphan possesses the fundamental skills and qualities to survive economically, he does not utilize them in a way that will help him achieve social and economic advancement. This characterization of Sloppy demonstrates that Dickens is well aware that “modern, industrializing commercial society featured economic losers as well as winners,” but unlike the character Podsnap, Dickens is unwilling to overlook the “human costs such unrestrained thinking [about political economy] preferred to ignore” (Young 247). However, Sloppy is able to emerge from the text as a success story due to the Boffins’s assistance. The Boffins give Sloppy a push on the path to success by preparing him for the profession of carpentry. This simple yet kind act provides Sloppy with the necessary tools to draw himself out of poverty. Rather than letting “positive checks” get rid of him, the Boffins empower him by giving him the initial assistance he needs. Yet Sloppy does not take this help for granted. While “Mr. Boffin been a-paying and a-paying,” Sloppy has “been a-learning and a-learning” (Dickens 809). As this passage shows, the investment in Sloppy’s future is a mutual affair. His success as a functioning member of society seems to suggest that Dickens supports such charitable empowerment. Sloppy did not need to die in order to get rid of the poverty problem that Podsnap found so offensive. Instead, he needed well-executed assistance to help him help himself. While critics often overlook the orphans of Our Mutual Friend, these characters significantly contribute to the work as a whole. They represent especially stirring examples of Dickens’ ability to package a political message in emotionally engaging fictional figures. Their roles in the work are subtle, but they provide Dickens with the opportunity to model positive behaviors to counteract the cruel effects of repressive and shortsighted economic theories. Dickens’ crafty use of orphans in Our Mutual Friend demonstrates the way in which his novels function as a platform for social criticism and activism, characteristics that preserve the power and relevance of his works to the present day. Furneaux, Holly. “Childhood.” Charles Dickens in Context. Ed. Ledger, Sally and Holly Furneaux. Cambridge: Cambridge University Press, 2011. Print. Jackson, T.A. Charles Dickens: The Progress of a Radical. New York: International Publishers, 1936. Print. Ledger, Sally and Holly Furneaux. Charles Dickens in Context. Cambridge: Cambridge University Press, 2011. Print. Ledger, Sally. “Dickens, Natural History, and Our Mutual Friend.” Journal of Literature and the History of Ideas, Volume 9. 2 (2011): 363-378. Print. Newey, Vincent. The Scriptures of Charles Dickens. Burlington: Ashgate Publishing Company, 2004. Print. Stone, Marcus. Mrs. Boffin Discovers an Orphan. 1864. The Victorian Web. Stone, Marcus. Our Johnny. 1864. The Victorian Web. Wagner, Tamara. “We have orphans […] in stock” : Crime and Consumption of Sensational Children.” 19th Century Child and Consumer Culture. Ed. Dennis Denisoff. Burlington: Ashgate Publishing Company, 1988. Print. Young, Paul. “Political Economy.” Charles Dickens in Context. Ed. Ledger, Sally and Holly Furneaux. Cambridge: Cambridge University Press, 2011. Print. Ashley Hughes is a first-year graduate student from San Antonio, Texas. This paper was written when Ashley was a senior pursuing her B.A. in English. She is currently working towards her M.A. in English and teaches English 1106 here at Virginia Tech. She would like to thank Dr. Nancy Metz for her support and guidance throughout this project.